Voting is closed. 525 users have voted. 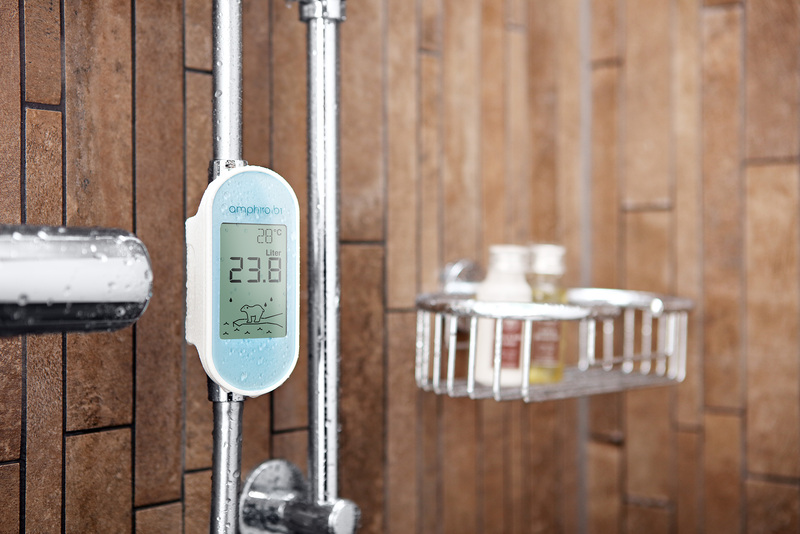 Amphiro’s self-powered smart shower monitors create awareness of the resource consumption when taking a shower. The devices are connected to smartphones and help keeping track of the user’s consumption, identify trends and enable comparisons. Impressive savings of energy and water – proven in highly published studies – make the devices pay off in less than a year. Amphiro has developed energy-autarkic, micro-mechatronic modules that measure, communicate, and display hot water consumption in real-time and at the point of use. The modules are completely powered by water flow, fit to virtually every water outlet, and can easily be retrofitted by end-users or integrated by OEMs in faucets. The underlying technology helps to monitor personal energy and water consumption and motivates a sustainable behaviour. Amphiro is a spin-off company from ETH Zurich, Switzerland. With the the support of the EU-funded project DAIAD (FP7) we managed to connect the energy-autarkic smart shower monitor with the Internet of Things. This allows users keeping track of their energy and water consumption using an app on their smartphone and getting access to additional cloud-based analytics services. A huge challenge for developing the connectivity of the self-powered device was measuring precisely while also powering the data transfer that highly influences the measurement itself. The developed technology is already part of our latest product which is a smart shower monitor with connectivity to smartphones. We are selling these products to end customers via our own online shop and a network of resellers all across Europe. In addition, our products enable awareness and energy/water efficiency campaign run by utility companies and municipalities. The universal character of the technology and its small form factor also allows integration into many existing products of faucet manufacturers. With Amphiro’s participation in the DAIAD project we achieved increased visibility. This helped us in finding partners and customers. Within the project we had the chance to deploy and test the technology and our products in additional markets. That way we received important direct feedback from users in these markets which is fed back into the development process which aims at bringing products to the market for mass-deployment to scale the significant saving effects of our technology.